This is my second attempt at covering a cake in fondant. 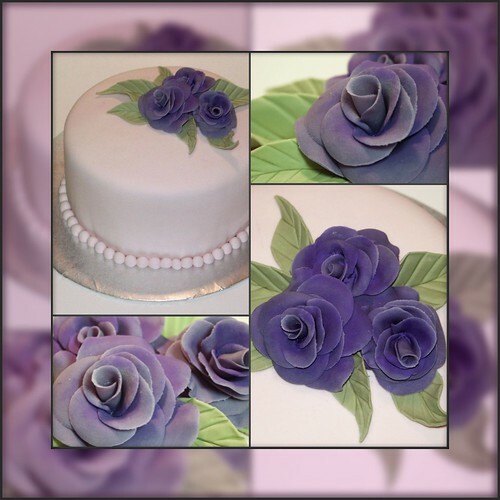 My first attempt at making gumpaste roses. This is definitely going to take some practice! Thanks to my Wilton instructor, Geneva Breaux, for being such a patient and knowledgeable teacher.